South Africa is my favourite country in the world, but unfortunately not one of the safest. Last year, before I discovered Uber, I decided to hitchhike in the suburbs of Johannesburg. Staying in a small hotel with no access to public transport and only expensive taxis around, I decided to give it a try. My tactic was to stop the nicer cars and have a small conversation before saying yes to get into the car. It worked out well. One of the first cars stopping was a white woman, and I explain I was a tourist looking for a ride into Sandton. She took me close to Sandton from where I took a shared van into the city. Having arriving safely in Sandton, I decided to walk towards my hotel, The Saxon, located in the exclusive Sandhurst-area of the city. I also managed to stop a nice car here, and the driver said I should be careful walking around. As he was going towards The Saxon, he took me there. The Saxon is well-known as one of the best hotels in the world, and I am sure I am the first and only guest ever to arrive by hitchhiking. Thankfully with the arrival of Uber in South Africa, I will never have to do it again. Before Uber arrived in South Africa, I was afraid to take taxis and found it to be one of the only expensive things in South Africa. South Africa is one of the best value countries in the world, just not when it comes to taxis. 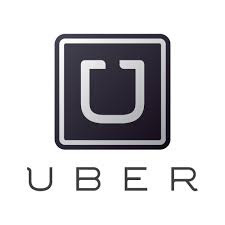 With Uber, life here is lot easier, and it is one of the many reasons I have decided to move here. Haven’t tried Uber yet? Free $USD 20 credit when you sign up using this link. You can also enter “uberfreetravelcredit” under Promos in the app itself.